Flooding continues to cause troubles in several communities across the southern Interior of B.C. Flooding continues to cause problems in several communities across the southern Interior of B.C. The Nicola-Similkameen school district closed Nicola Canford Elementary, west of Merritt, on Monday, and school buses will not be running beyond Guichon Creek Bridge because of high water. The Lytton Ferry has been pulled from service because the Fraser River is too high. Officials say the ferry won't cross the river again until the level drops. Flooding fears rise as snow melts across B.C. Flooding has also forced the closure of Highway 8 west of Merritt, where the 10 Mile bridge is being undermined by rising water levels. An engineering assessment is to take place this morning. A bridge has been washed out on Highway 97D, 10 kilometres east of Logan Lake.The road has been reduced to single-lane alternating traffic. In Kamloops, Barnhartvale Road has been closed because of flood concerns at Campbell Creek. Sandbags are available at Barnhartvale Community Hall. 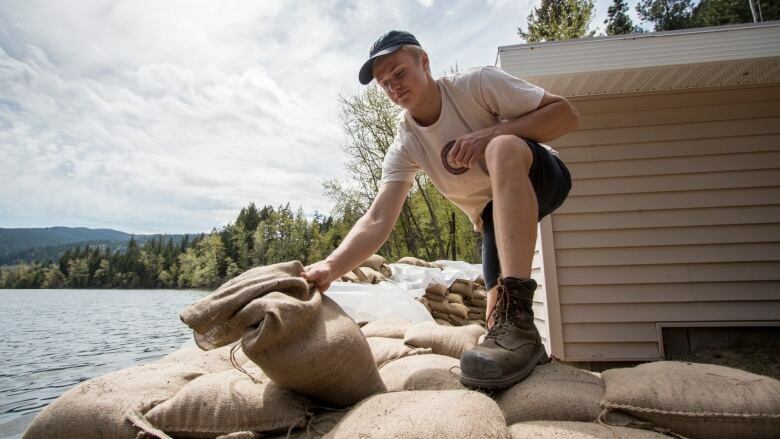 In Cherry Creek, west of Kamloops, residents are doing all they can to protect their properties from flooding, with some asking for help from the public with sandbagging as Cherry Creek continues to rise. Evacuation orders were issued for another 54 properties near Merritt on Sunday, adding to 15 others that were served notice on Saturday. In Peachland on Sunday a local state of emergency was declared as officials dealt with a landslide and water flowing across Highway 97.